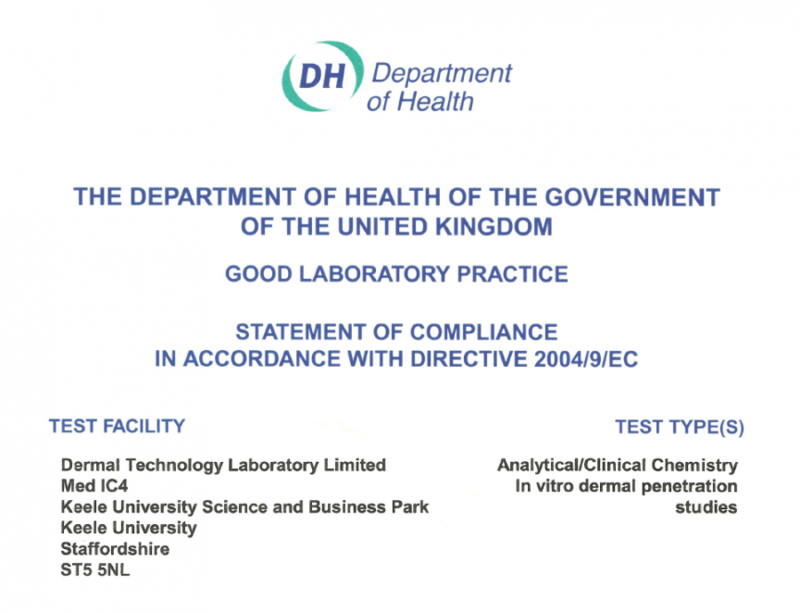 MHRA, the UK GLP Monitoring Authority, today issued a GLP Compliance Statement to Dermal Technology Laboratory, MedIC4, Keele University Business and Science Park, Keele, UK. Following the latest routine but detailed two-day, on-site Inspection conducted 29 – 30 January 2014. 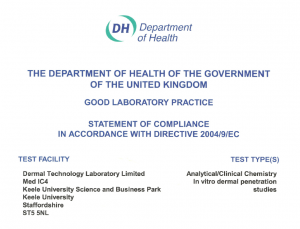 The formal statement of compliance confirms DTL’s continued compliance status for OECD GLP study types listed as ‘Analytical/Clinical Chemistry’ and ‘In Vitro Dermal Penetration’.